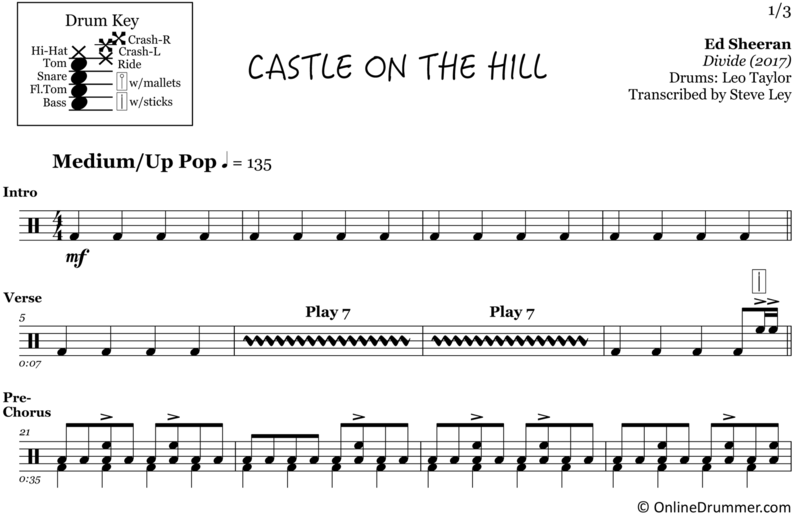 The full drum sheet music for “Castle on the Hill” by Ed Sheeran from the album Divide (2017). 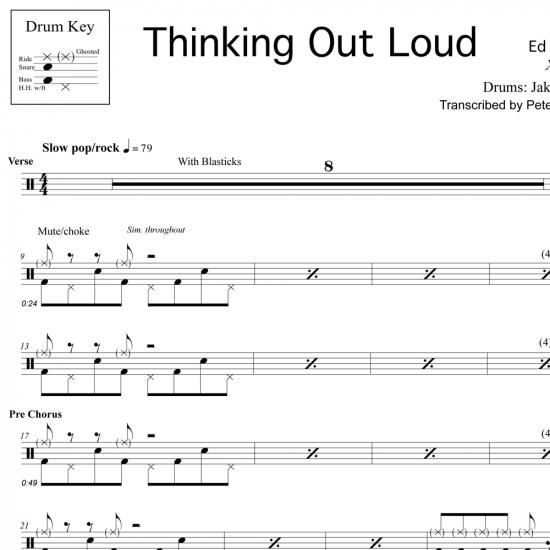 Leo Taylor lays down a four-on-the-floor track complete with driving tom grooves and up-beat, dynamic fills and articulations. 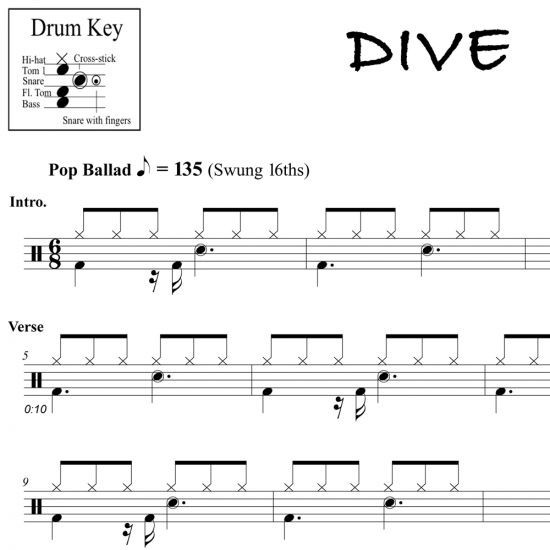 This drum part will keep you moving behind the kit, and there won’t be a still foot in the crowd. 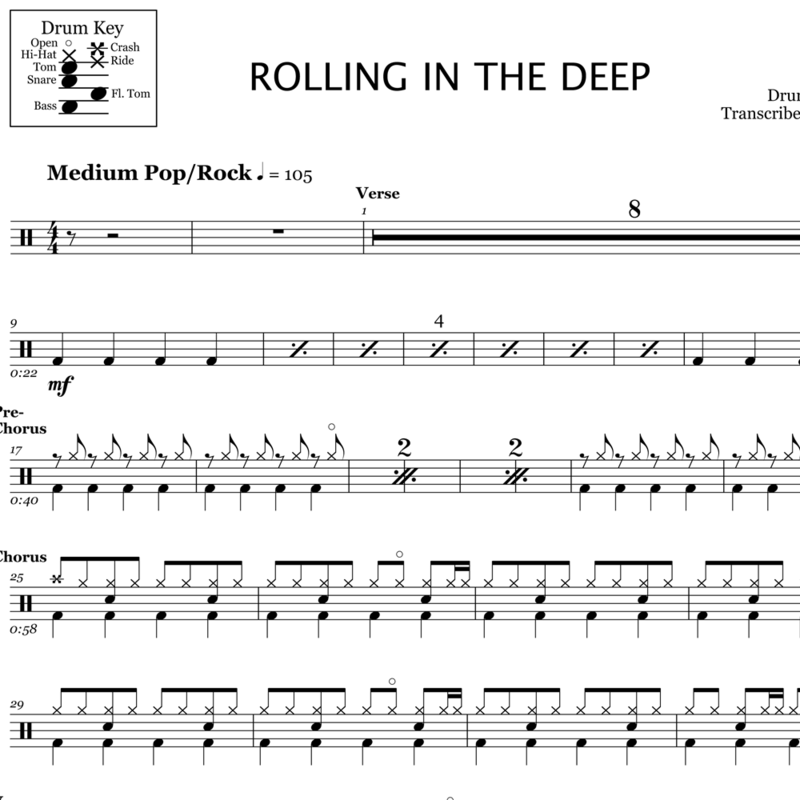 The full drum sheet music for "Rolling in the Deep" by Adele from the album 21 released in 2010. 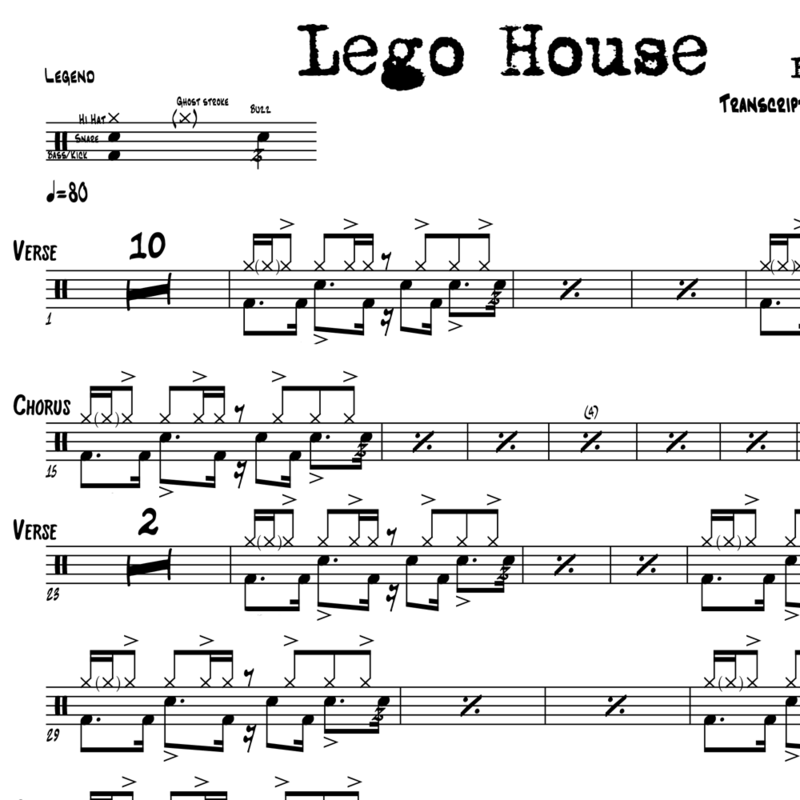 The full drum sheet music for "Lego House" by Ed Sheeran from the album + (2011). 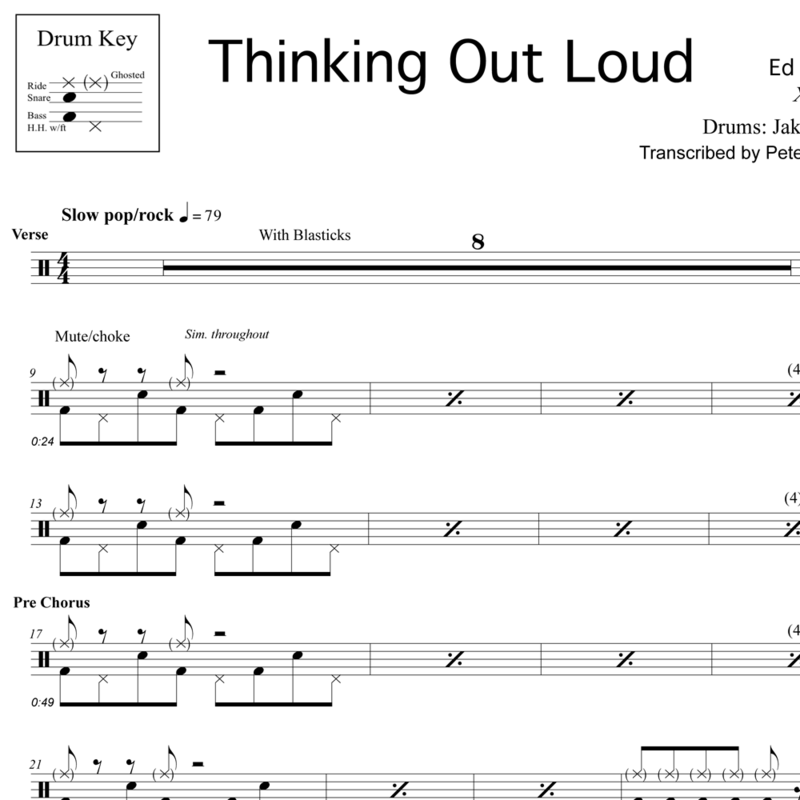 The full drum sheet music for "Thinking Out Loud" by Ed Sheeran from the album X (2014). 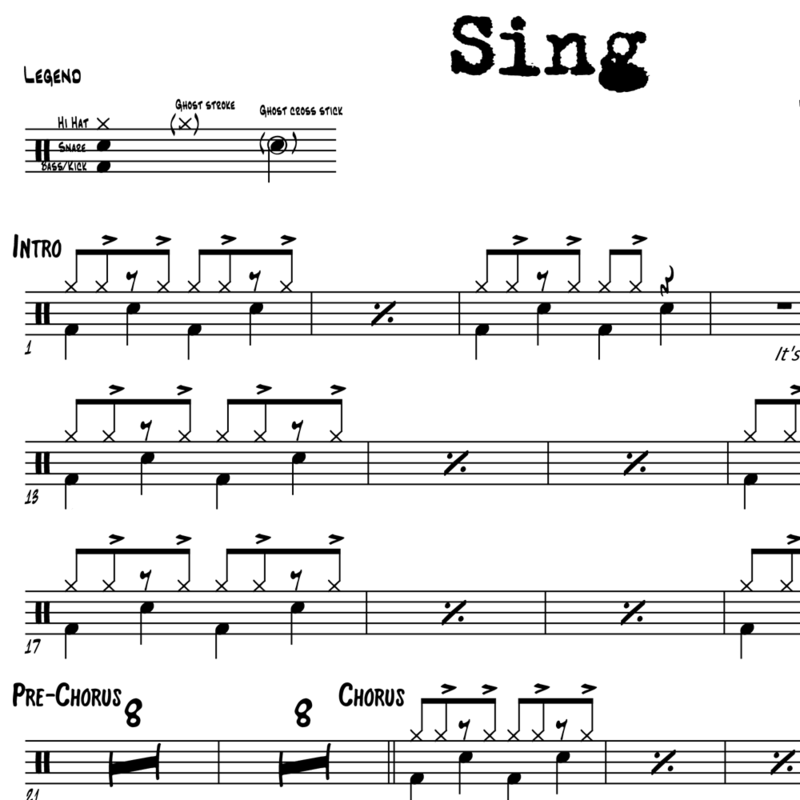 The full drum sheet music for "Sing" by Ed Sheeran from the album + (2014). 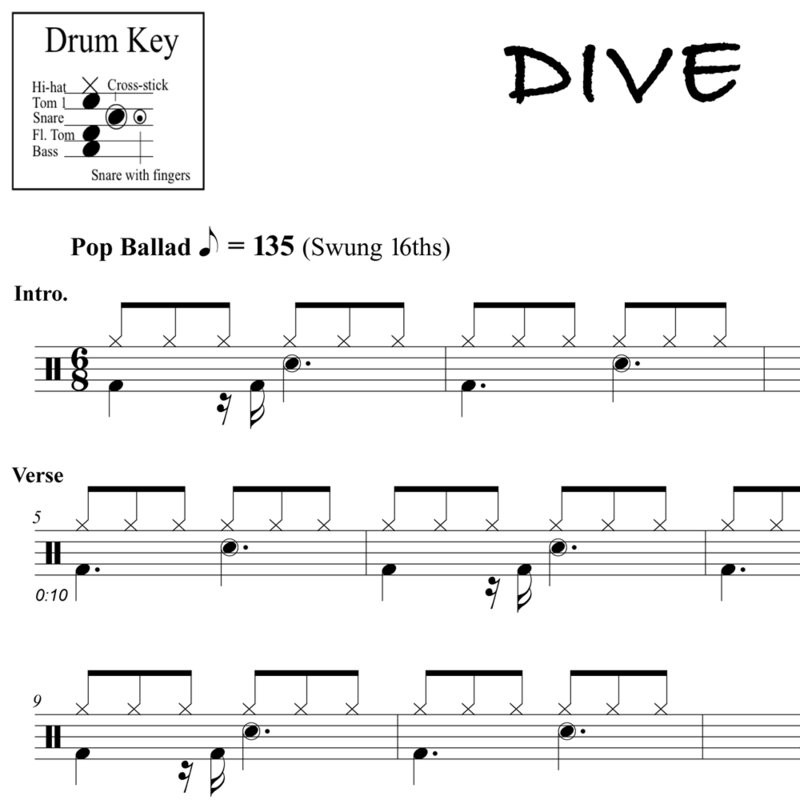 The full drum sheet music for "Dive" by Ed Sheeran from the album Divide (2017). 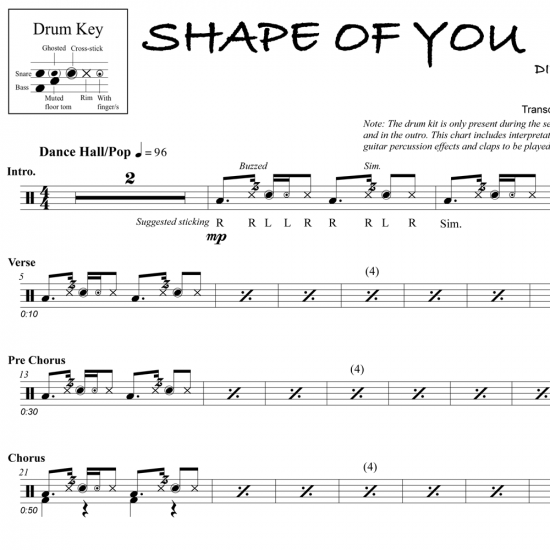 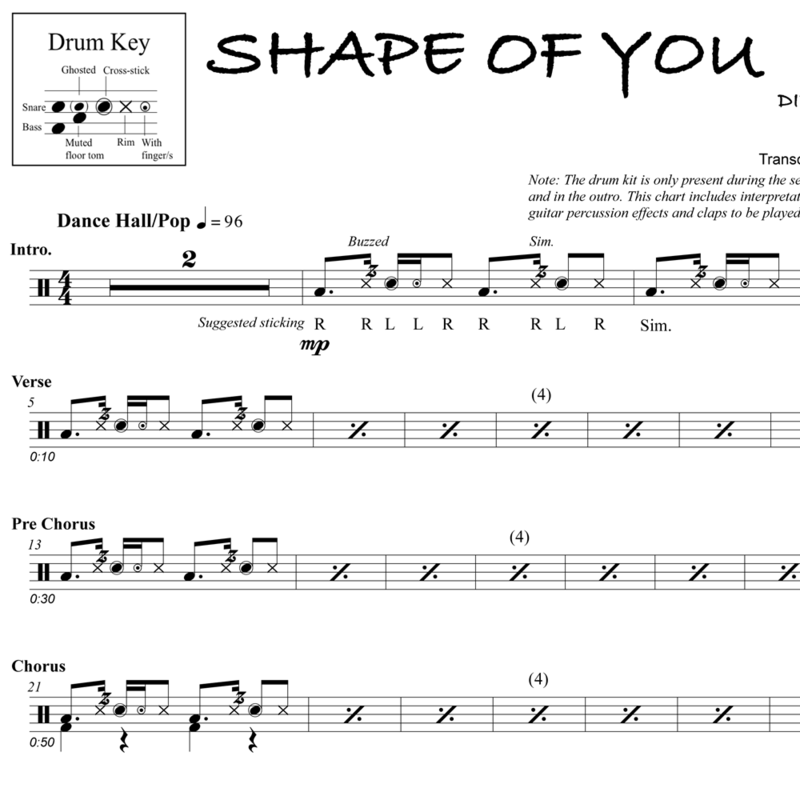 The full drum sheet music for "Shape of You" by Ed Sheeran from the album Divide (2017).